With the number of submersible pumps on the market, it can be nearly impossible to determine the perfect submersible water pump for your industrial application that also matches your processing requirements. It is in fluid processing professionals’ best interest to work with a pump manufacturer and supplier that has application expertise in a multitude of industries and offers exceptional engineering support. Phantom Pumps is an industrial submersible pump manufacturer located in Florida, and we have application engineers on staff and a global network of Authorized Distributors. Our experienced and knowledgeable pump experts are always available to ensure that our customers’ facilities are equipped with the highest quality pump equipment to ensure their operations continue to run smoothly and efficiently around the clock. Whether you use a Phantom Pump submersible water pump, submersible sump pump, ANSI pump, DPUMPS pump or other pump, you will find that all of our pumps are easy to install and operate because of their self-priming design. Self-priming pumps don’t require manual priming after the initial prime and require little maintenance, so many pump facility managers typically see reduced pump-related labor costs. Better still, pump-related equipment costs tend to decrease since ejector pumps, foot valves and vacuums are not needed in self-priming pump designs. When in-house technicians need replacement parts for Gorman-Rupp, All-Prime, ESCO, Durco and other name brand equipment, they can turn to Phantom Pumps for compatible and interchangeable pumps and parts. Our equipment is cost-effective, yet still performs at the same or better levels than higher priced name brand equipment. The submersible sump pump and other submersible pump equipment manufactured by Phantom Pumps are available in 316SS, Cast Iron and other materials of construction. Our application engineers and distributors can assist customers in pump selection by matching our pump specifications to operation requirements or cross-referencing pump parts model numbers that are currently in use. Fluid processors in Florida, Georgia, Alabama, South Carolina, North Carolina and beyond can confidently replace and repair pump equipment with our compatible pumps and replacement parts. 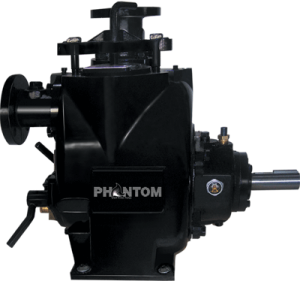 Contact a pump expert at Phantom Pumps today for cross-reference assistance or to request pump quotes on a submersible water pump. We look forward to serving your operation facility in the near future!